One of Colonel Muammar Gaddafi's sons, Saif al Islam, who was earlier reported to have been arrested, has made a surprise appearance in Tripoli and met foreign journalists early on Tuesday morning. 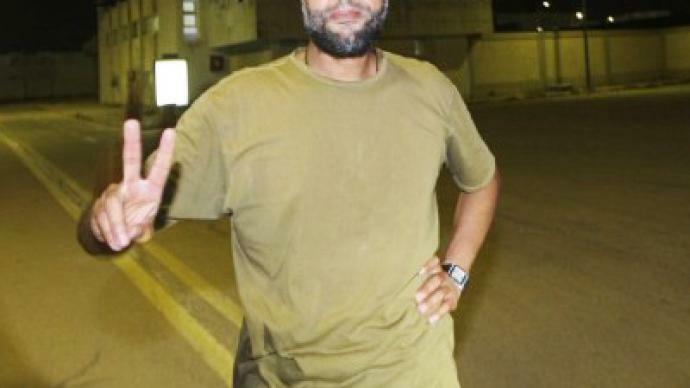 ­He appeared at the Rixos Hotel in Tripoli early Tuesday in a convoy of armored Land Cruisers. Saif al Islam met with journalists of Agence France-Presse, BBC News and Fox News. He said that his father and several of his sisters are indeed alive and well, and that Muammar Gaddafi is still in Tripoli. “Yes, he is in Tripoli, he is alive and well and we are winning,” he said. 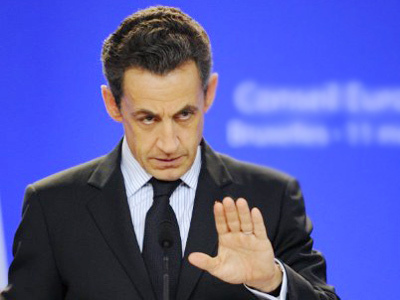 “The rebels have been lured into a trap and we will crush them." “Tripoli is under our control, the situation in the city is OK,” Saif al Islam told journalists. The claim about Saif al Islam’s detention was earlier confirmed even by the International Criminal Court (ICC) but now it appears even this respectable institution cannot be fully trusted. All this is casting a shadow over other victorious statements made by the rebel council. Saif al Islam also took some of the journalists for a drive around the city to the government stronghold district Bab al-Aziziya, where they saw thousands of armed fighters protecting it. Journalists were told that thousands of volunteers are coming to the capital to protect the government. Early Tuesday morning Al-Urubah TV channel, broadcasting from Beirut, aired a statement by Musa Ibrahim, a Libyan government spokesman, who said that none of the three sons of the Libyan leader reported arrested actually remain free. Ibrahim specially stressed that Saif al Islam had never been detained, thus exposing a previous lie of the TNC (Transitional National Committee – head institution of the rebel forces in Benghazi). Musa Ibrahim also exposed a lie about rebels controlling 95 per cent of the capital – in reality the situation is practically the opposite, with loyalist forces controlling no less than 75 per cent of Tripoli. On August 22, rebels established a news blockade by seizing the national television center and announcing they would need only two more days to cleanse the city. 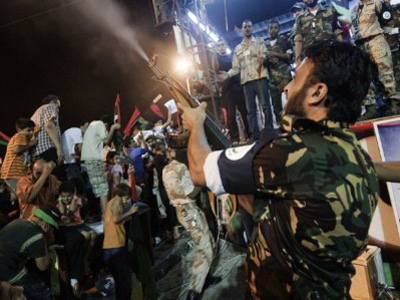 By the morning of August 23 it became impossible to verify how many insurgents are actually left in the Libyan capital. 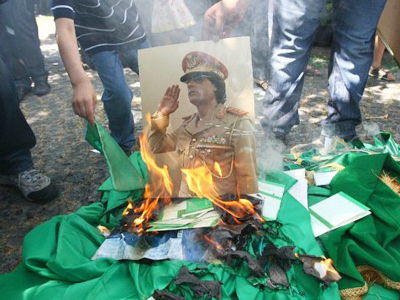 The ICC court has arrest warrants for Gaddafi himself, his son Saif and military intelligence chief Abdullah al-Senussi. They are wanted “for crimes against humanity (murder and persecution) allegedly committed across Libya from 15 February 2011 until at least 28 February 2011, through the State apparatus and Security Forces." He also said there was an obligation to surrender "detained" Saif to the ICC in accordance with Security Council resolution 1970, The Hague Justice Portal reports. There have been some more controversial reports from the Libyan capital. Journalist and anti-war activist Susan Lindauer claims that the people of Libya are “furiously angry” at NATO, and are blaming the rebels for destroying the country’s infrastructure.